Ambra Edwards is a journalist with a special interest in garden history, and the people, passions and often surprising stories that lie behind our gardens. Three times voted the Garden Media Guild's Garden Journalist of the Year (2006, 2009 and 2015), she is a regular contributor to The Guardian, the Telegraph, Gardens Illustrated, Hortus and Country Living. Charlie Hopkinson is a portrait and landscape photographer specializing in the arts, gardening and landscape. As well as being published in magazines and books worldwide, his work is exhibited at the National Portrait Gallery. He lives in London. "This is a marvellous book. The photos and the text together make for a very successful piece of publishing." "An informative and eye-opening delight." "Ambra Edwards's fascinating interviews show what diversity there is in British gardens. It's a book about people and how they tick - people who happen to be gardeners." "Edwards is so skilled at unearthing the often conflicting passions of her subjects you feel as though you are eavesdropping on an intimate conversation, illuminating person and place. Charlie Hopkinson's eloquent photographs capture the essence of their subjects. The book is also a covert plea for investment in gardeners at all levels." "Rarely do garden books move me to tears, but certain pages in Head Gardeners were so moving that I found myself welling up. This is a book which celebrates a gardener's resilience and imagination as well as the traditional gardening virtues." "From Cumbria to Cornwall Ambra Edwards has talked most enjoyably to working gardeners in charge of very varied gardens." "Thoughtful, sympathetic essay-interviews. Charlie Hopkinson's photograhs illustrate this compact volume well - and it's a new insight into the dedication of those who do the hard work of keeping great gardens alive." "Includes interviews with 14 of Britain's most exciting gardeners. It allows head gardeners to tell their story, and gives us an insight into how their eyes and brains work." "The writing is luminous and the stories are fascinating. It is a book that is achingly poignant and entirely inspiring." 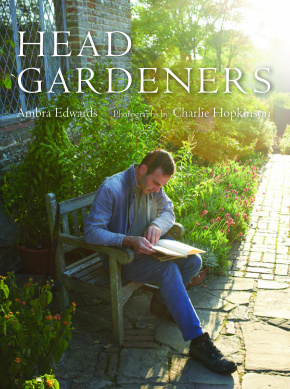 "How wonderful to see the passion and craftsmanship of 14 head gardeners celebrated in this new book."